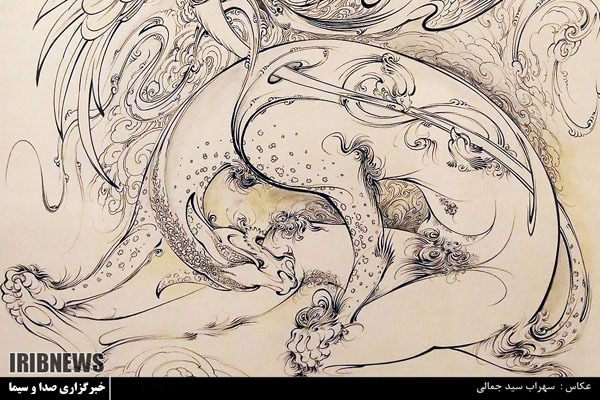 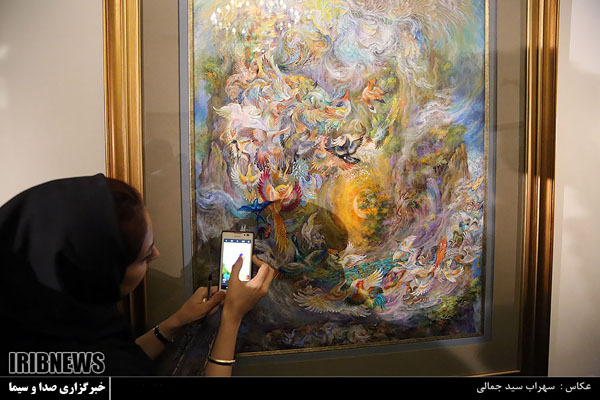 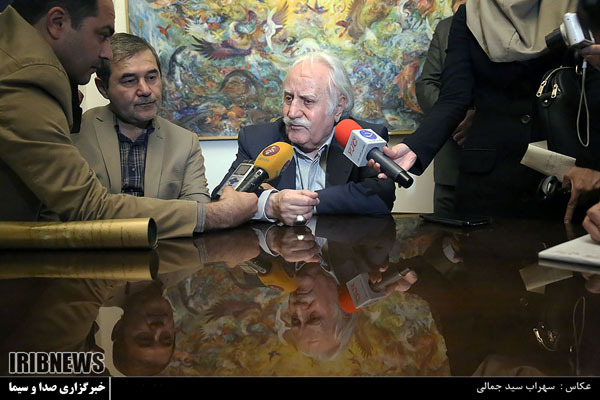 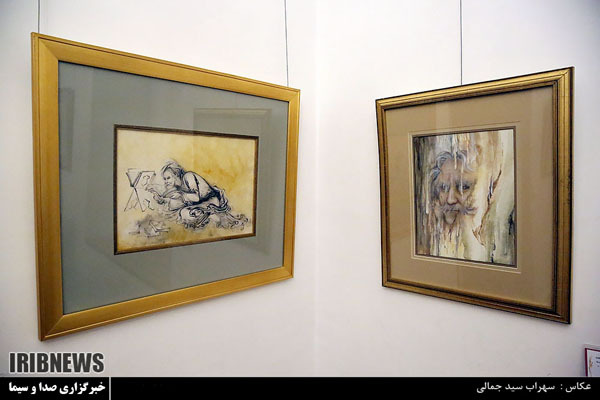 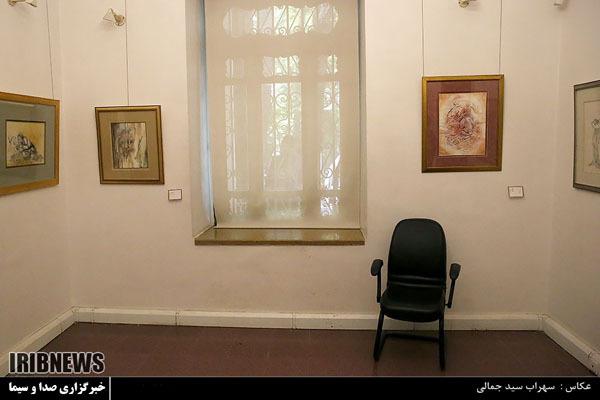 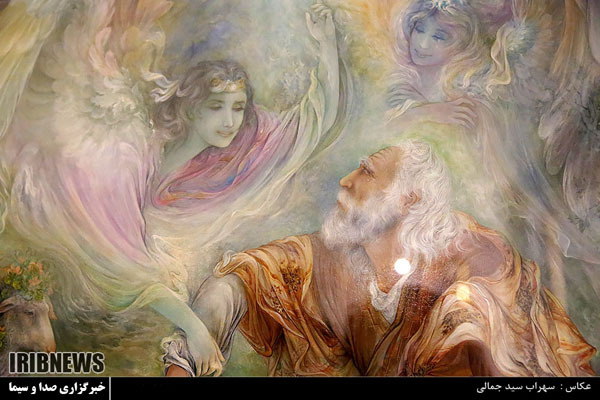 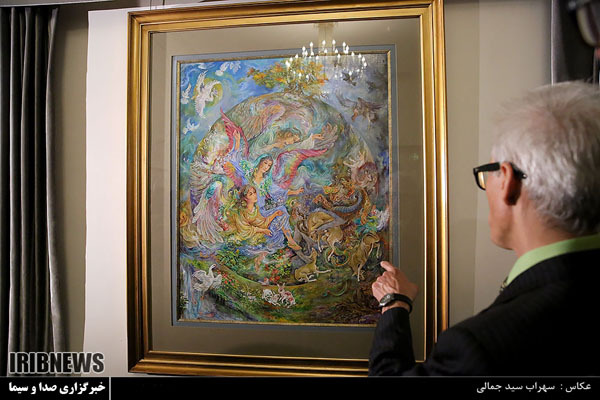 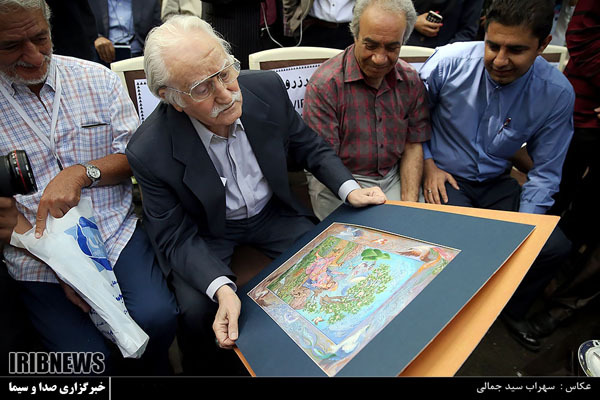 Simorgh and Environment, Man and Nature, two works by Iranian master miniaturist Mahmud Farshchian, were unveiled on Saturday May 14 at the Farshchian Museum of Tehran’s Saadabad Cultural Historical Complex. 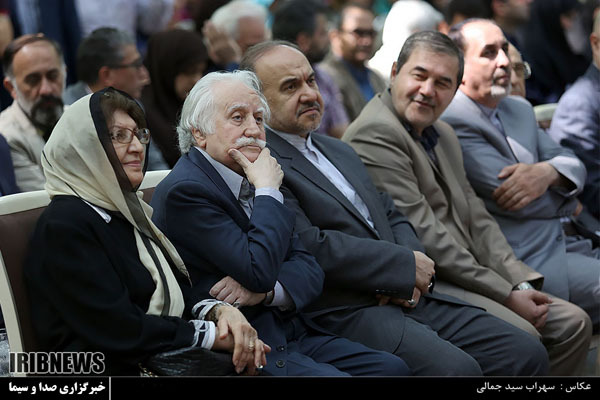 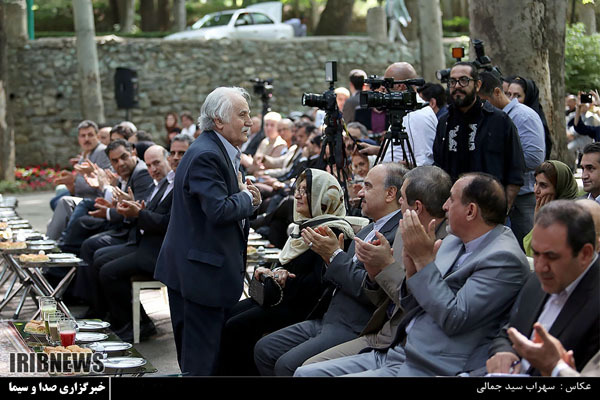 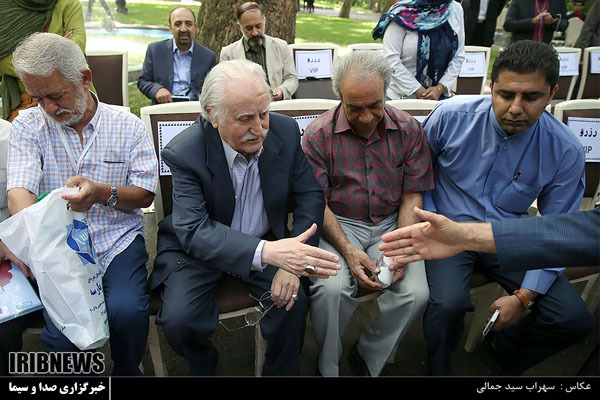 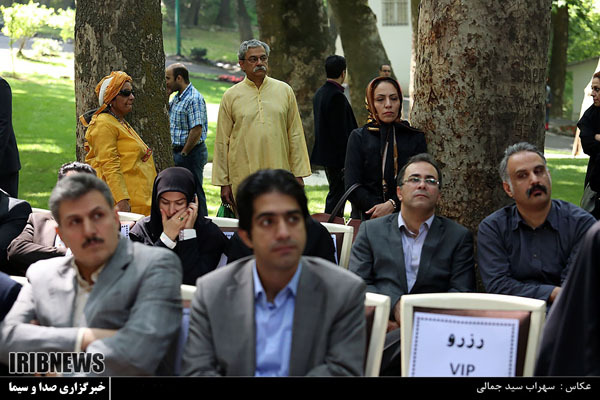 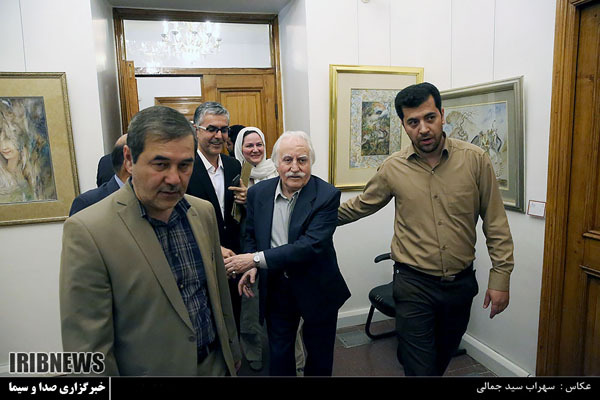 Director of Cultural Heritage Tourism and Handicrafts Organization (CHTHO) Masoud Soltanifar, and CHTHO deputy director Bahman Namvar Motalq attended the ceremony, Persian media reported. 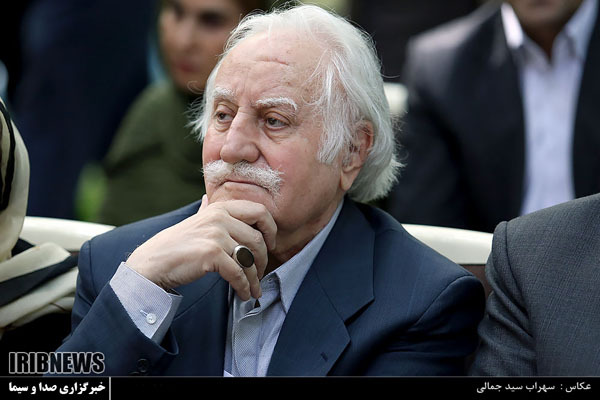 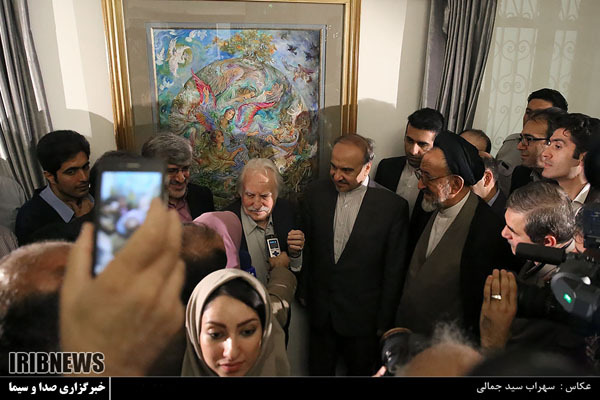 “Simorgh, which wasproposed by grand Ayatollah Abdollah Javadi Amoli, is a symbol of humanity, and shows that people are always seeking the truth,” Farshchian said at the ceremony. 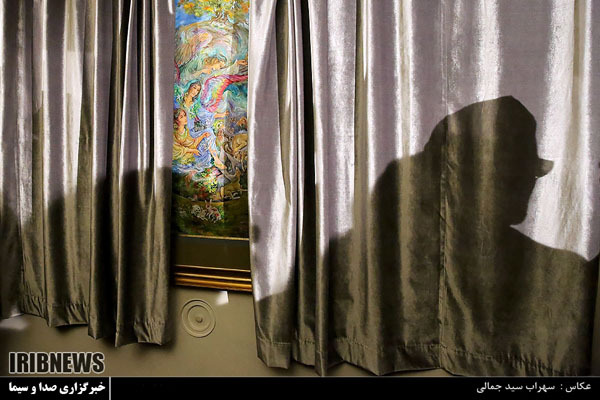 He added that the idea of his second tableau Environment, Man and Nature, was prompted last year by the head of Iran’s Department of Environment, Masoumeh Ebtekar. 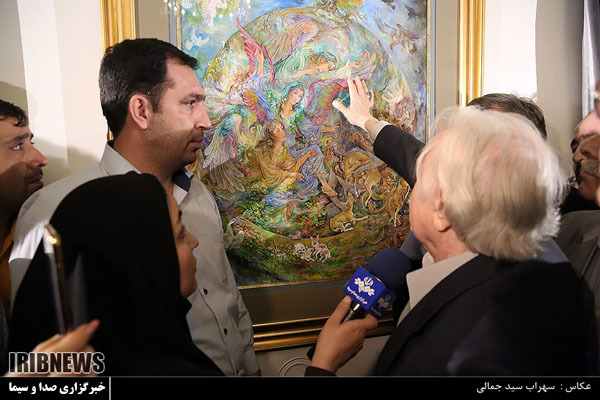 “In one corner of the painting a monster that has polluted the earth can be seen, and on the other side there are angels who are cleaning up the environment,” he explained. 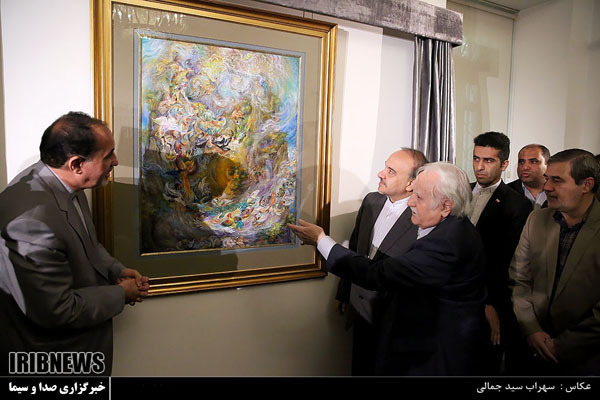 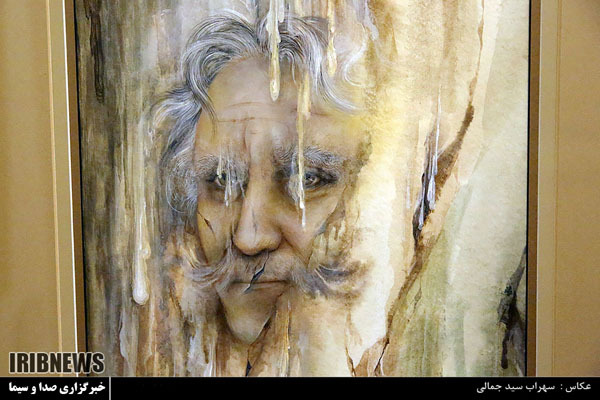 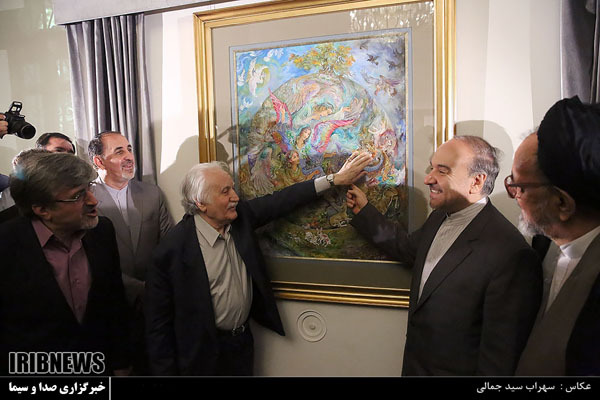 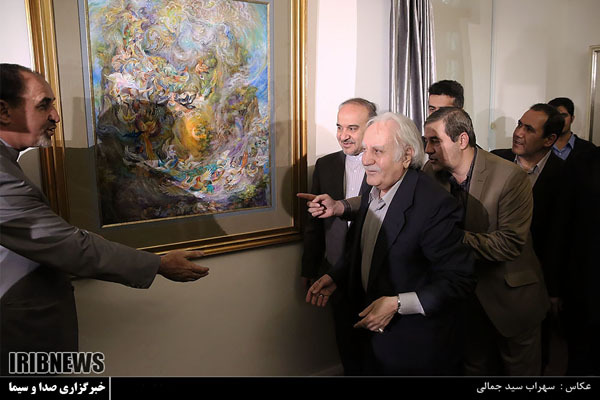 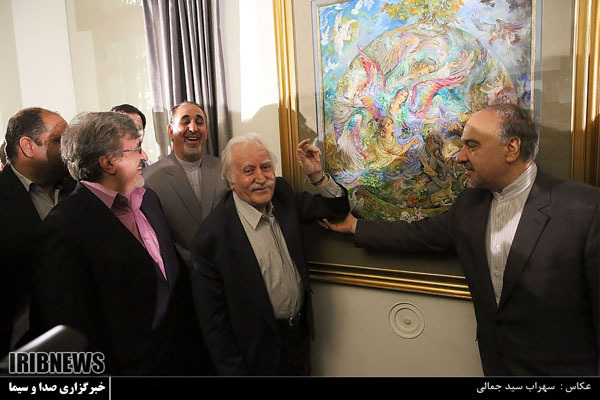 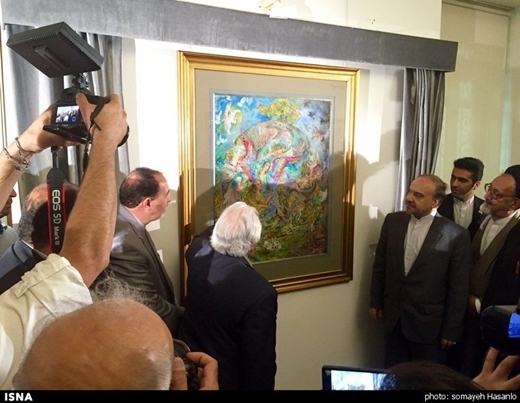 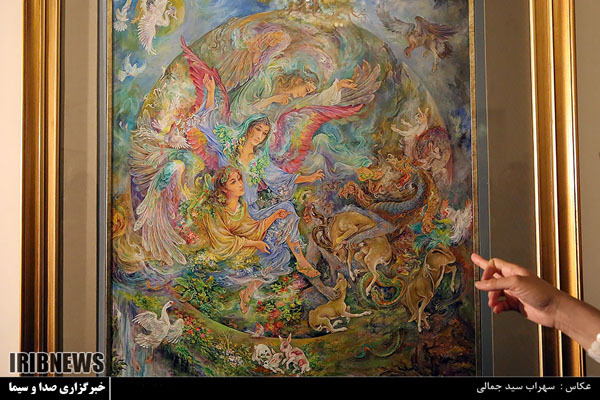 Namvar Motalq also said that Farshchian’s painting would be very influential in environmental protection. 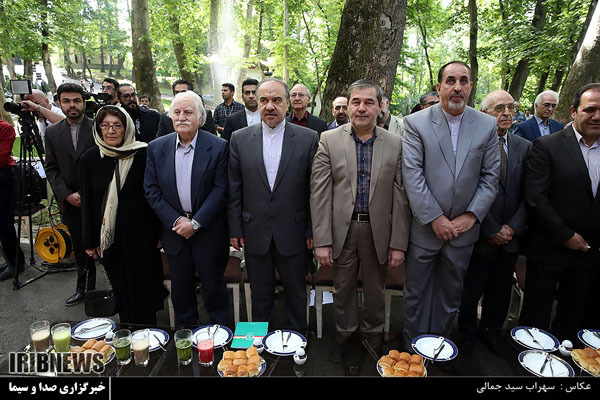 “Our environment has been damaged, and we need to improve it, both in Iran and around the world,” said Mohammad Mojabi, a top official at the Department of Environment. 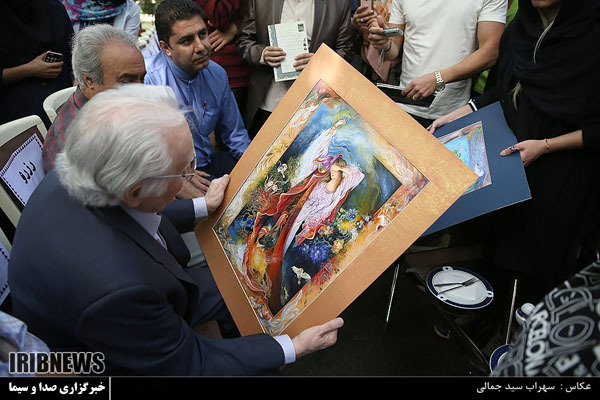 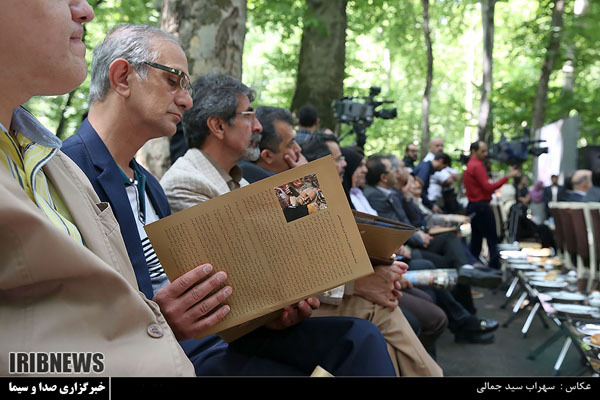 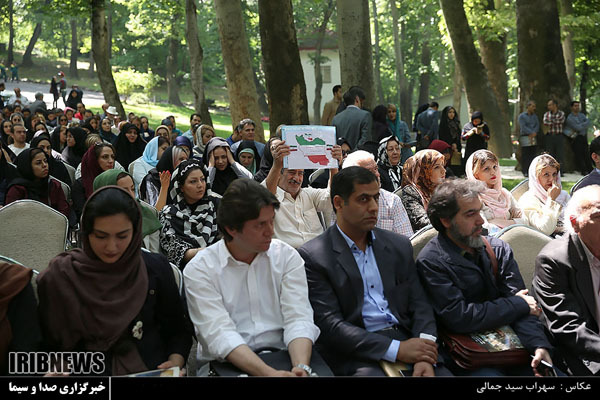 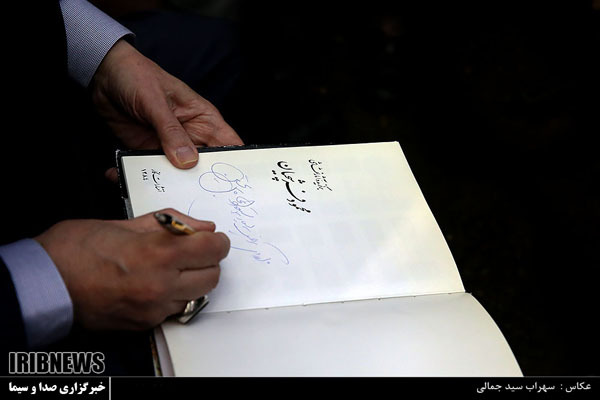 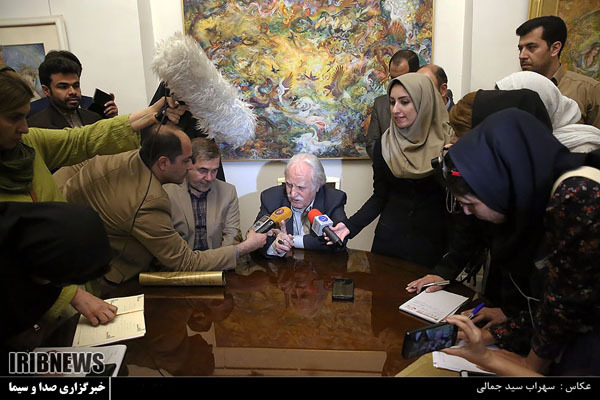 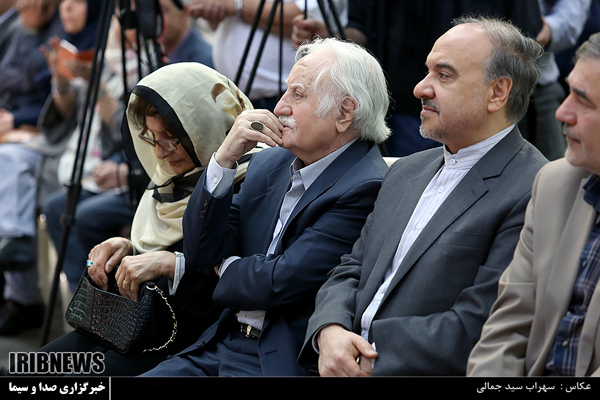 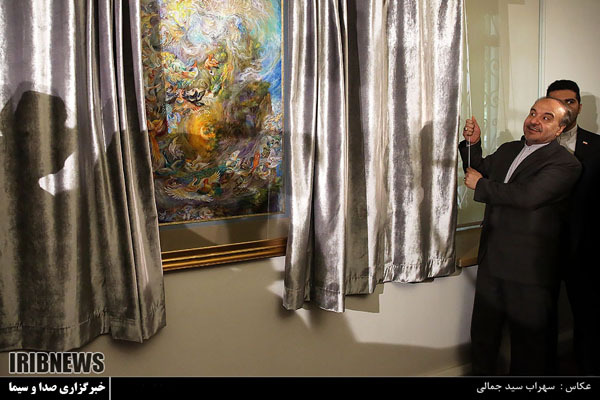 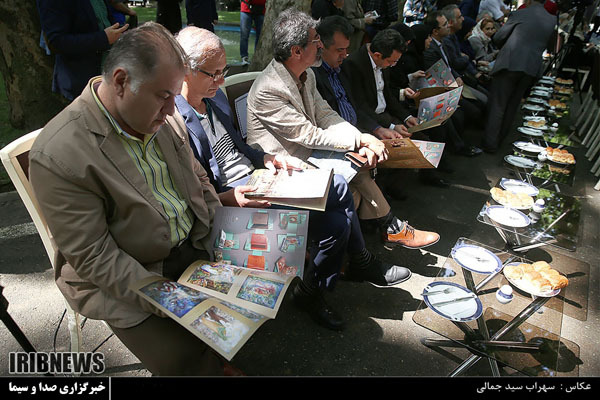 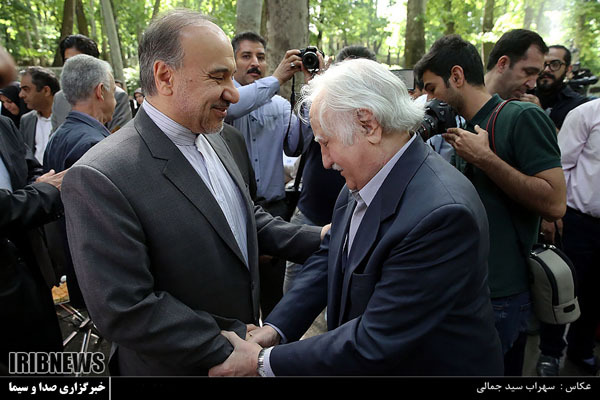 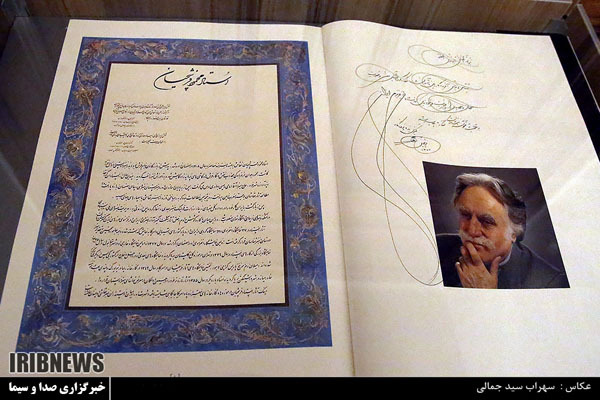 Photos of the unveiling ceremony were received from IRIB News.